Incense has been used throughout the ages for spiritual and religious purposes. It is a wonderful aid for inducing a very primal ritual consciousness. 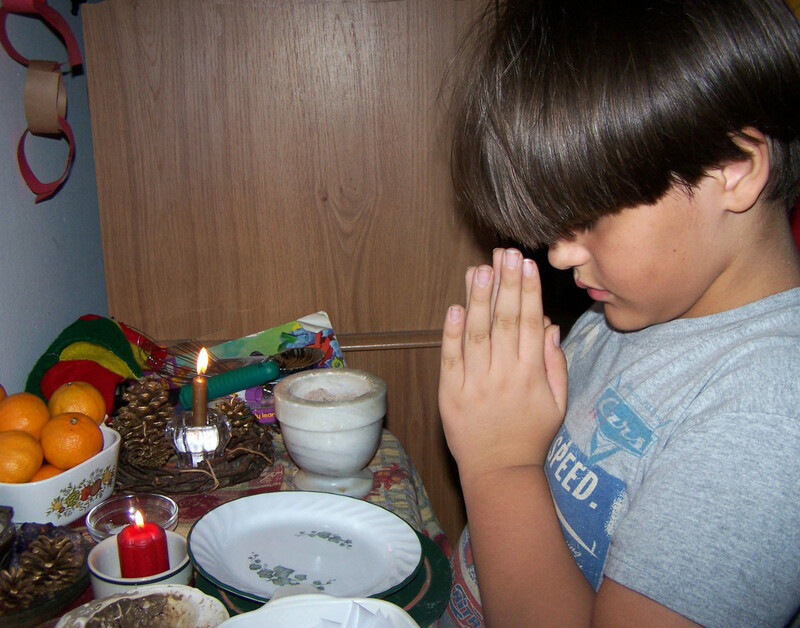 You may have heard the old belief that incense smoke carries our prayers up to the Gods. I've always thought that quite a beautiful sentiment. 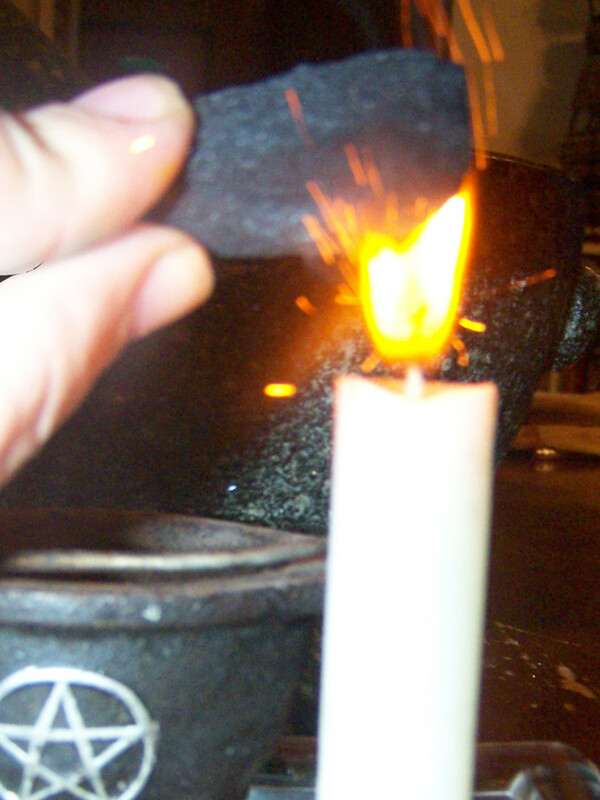 I can control the amount I use; I can add enough for big, billowy puffs of smoke the fume the room, or I can add it sparingly at certain parts of the ritual. 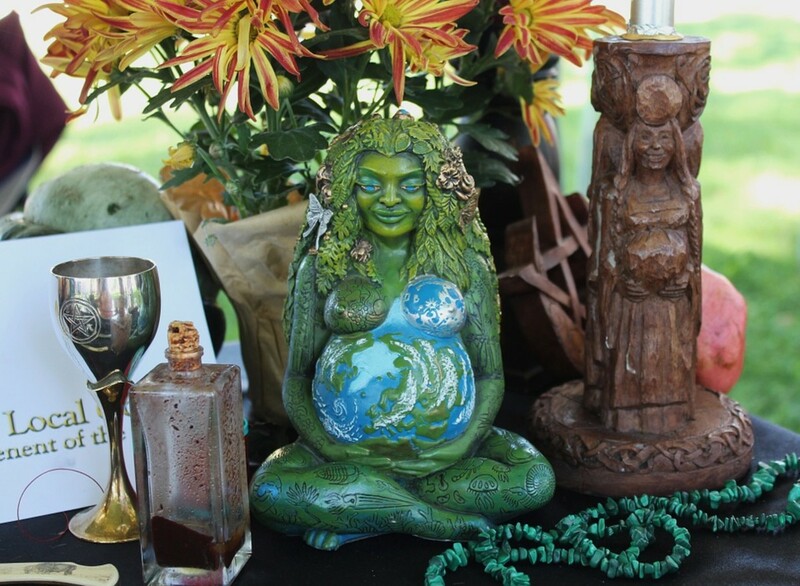 I can use more than one kind of incense during the ritual; for the cleansing and purification, I can use sage; when we get to the part of the observance, I can switch to something more floral. I can switch over again for the meditation. The coals last at least an hour, as opposed to sticks and cones that last only 10 or 20 minutes. I like to make it! I can make different scents and get creative with it. 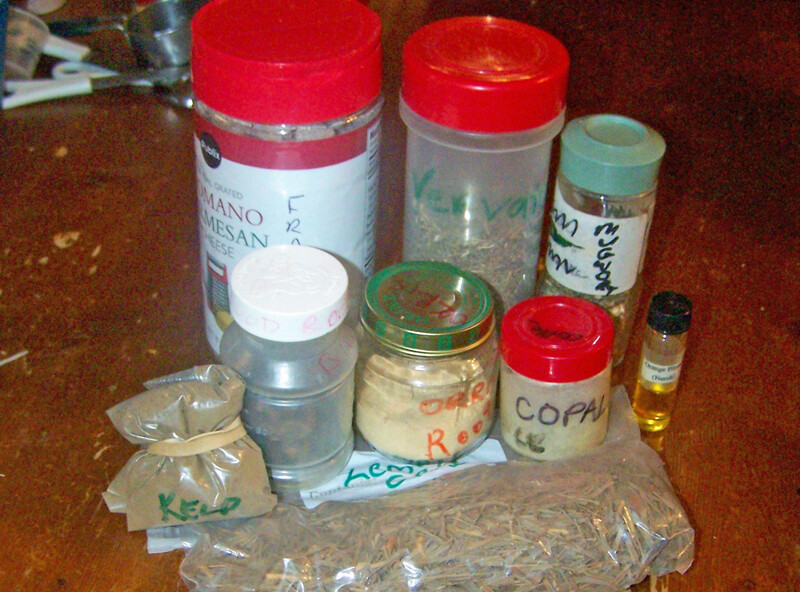 You can make cheap herbal incense to keep in your ritual cabinet that will last, or give it as gifts to friends. Here’s a guide to teach you how to make your own incense, and how to store it and use it as well! 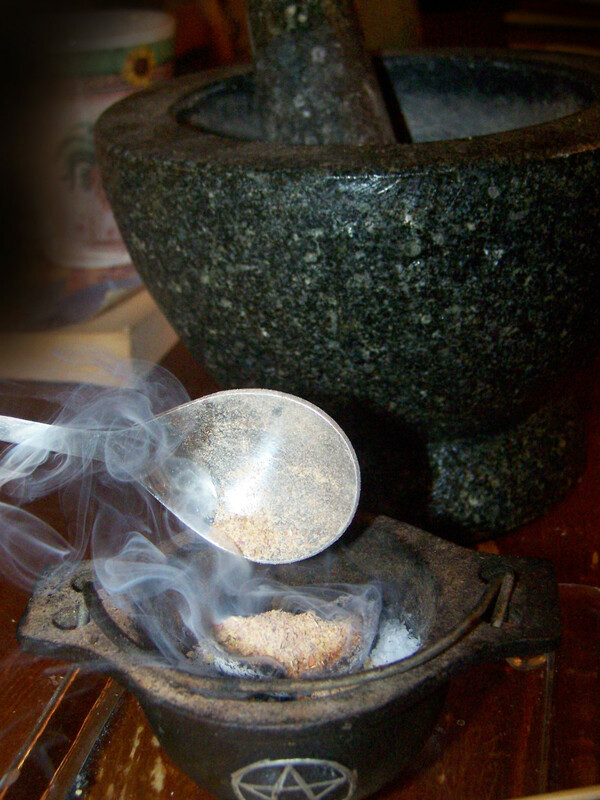 There are several types of substances you can use to make incense. Most can be burned alone, but they are most often blended for more complex scents. Lets have a look at some of them. Resins: resins are dried, solidified tree saps. Some common resins used in incense include frankincense, copal, myrrh, gum Arabic, gum mastic or dragon's blood (from the dracona tree, not from a mythical creature!). Resins usually come in small chunk-like rocks called 'tears' but you can also purchase them already pulverized in resin form. Resins usually make a good base for incense because they produce a lot of smoldering that lasts longer than other fully dry ingredients. Woods: woods are dried wood of trees. Some popular kinds include sandalwood and cedar, but you can use any kind of wood really as long as it's not toxic. Think about campfire woods like hickory or oak. Woods tend to infuse a beautiful woody scent into the incense, and they tend to burn longer than herbs but not quite as long as resins. They also make a pretty good incense base, or you can mix resins and woods together to create a base. You can buy wood in little chunks or splinters, and that's fine when you're burning the wood alone as it will last longer. But when you're blending them in incense, go for the powdered version. If you know a wood worker or cabinet maker who uses untreated woods, jackpot! Ask the person if he can scoop some sawdust into a bag for you. Herbs: herbs generally include the leaves and flower petals such as sage, thyme, lemongrass, violets, roses or lavender buds. Herbs and flowers can bring a lot of different variety to your incense. This is my main mortar & pestle, and it's excellent for working with herbs for incense and powders and such. It's very heavy and sturdy, so you don't have to worry about cracking it as you're pounding on it, or of it tipping over. It's also got a 4-cup capacity, so you don't find powder flying out like with smaller models. you can purchase some products retailers package and sell them specifically as incense, but you can also simply pull them off supermarket shelves, grab them from your garden, use your leftover produce or that dying bunch of posies on the table. Make sure to use herbs that have been completely and thoroughly dried, and make sure to only burn non-toxic plants. Some toxic plants can be dangerous to inhale. Roots: Roots include things like orris root or Valerian root (which-- warning!-- smells like feet!). Like herbs, make sure they're non-toxic and thoroughly dry. Spices: Spices usually include ground seeds, buds, berries and barks. Some common spices in herbs include cinnamon, cloves, juniper berries and allspice. They may also include the dried rinds of citrus fruits. Spices are often quite pungent scents! I like to add them sparingly and rarely burn them individually. 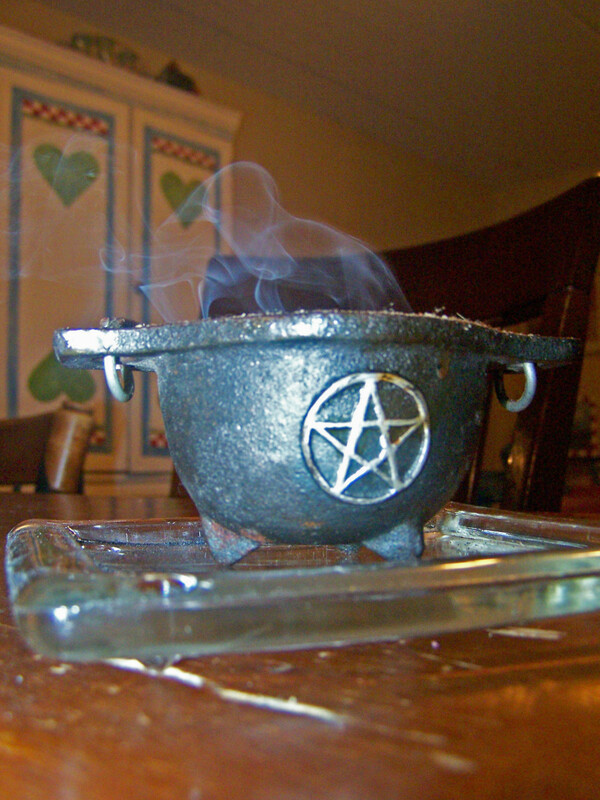 Oils: some people add a few drops of essential oils to their incenses, but you have to use them very sparingly because if the incense is too moist it will just have trouble burning and may even douse out your coals. I try to avoid using oils when I'm using resins, which are already have a slight moisture content. The oils work better with wood bases I find. 1. Gather your ingredients. You can follow along with the incense I'm making, or you can use your own ingredients and experiment. 2. Measure out your ingredients. I usually record recipes by "part". That way I can make a little using teaspoons, or I can make a large quantity using measuring cups. One of my favorite things to use to measure is one of those little plastic cups off old cough syrup bottles. 3. Put on some Pagan music or chants. It helps you get into the rhythm while you work and helps you keep positive energy. 4. 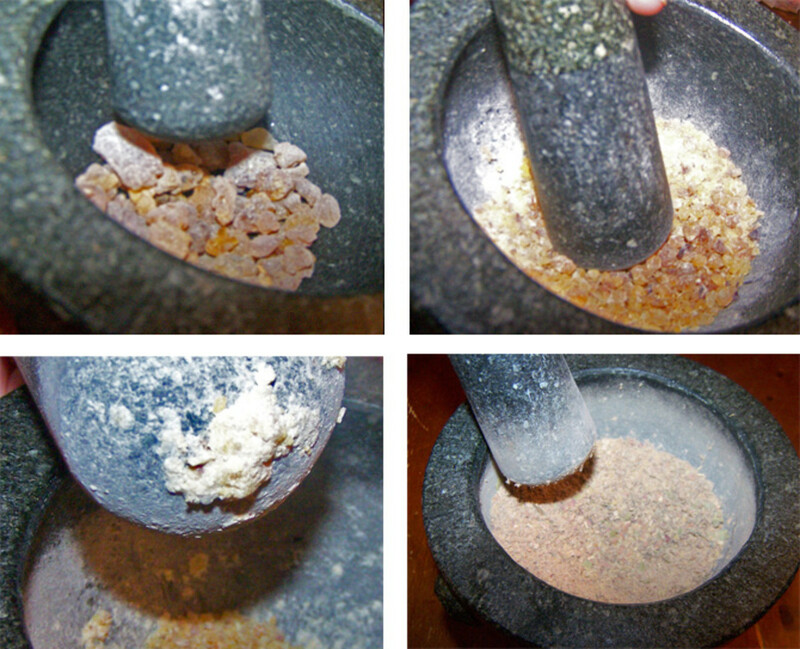 Add your resins tears to your mortar and pestle first. Resins take the longest to ground and they can get a little gummy, so if yours are not already powdered then get to work on them first. I just like to pound them with the pestle-- boom boom boom rather than smushing or twisting them. Eventually it gets the job done; how long it takes depends on how much you're crushing, but if you're doing a lot I recommend working in small batches of 1/4 cup or less at a time. 5. Add your wood dusts, herbs, flowers, spices or roots at this time. If you really want herbs and roots ground good you can put them in an herb or coffee grinder (do not put your resins or woods in there, though, or you might ruin your machine!). I find the mortar and pestle just fine for grinding them up, though. 6. Grind, grind, grind. It can take 10 or 15 minutes, just have patience and keep at it. Keep in good spirits to infuse your homemade incense with positive energy. 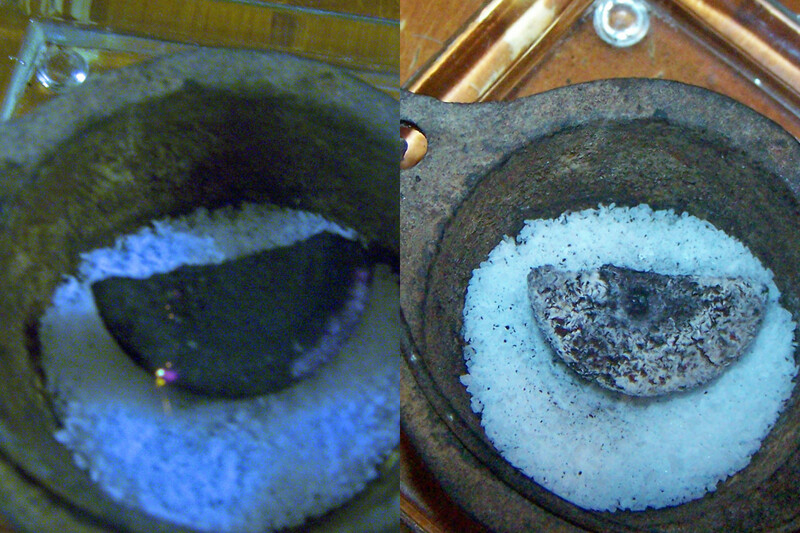 I like to grind in a clockwise motion (unless I'm making a powerful banishing incense!). This is where the Pagan music and chanting comes in handy. 7. Try some on incense coals if you want. 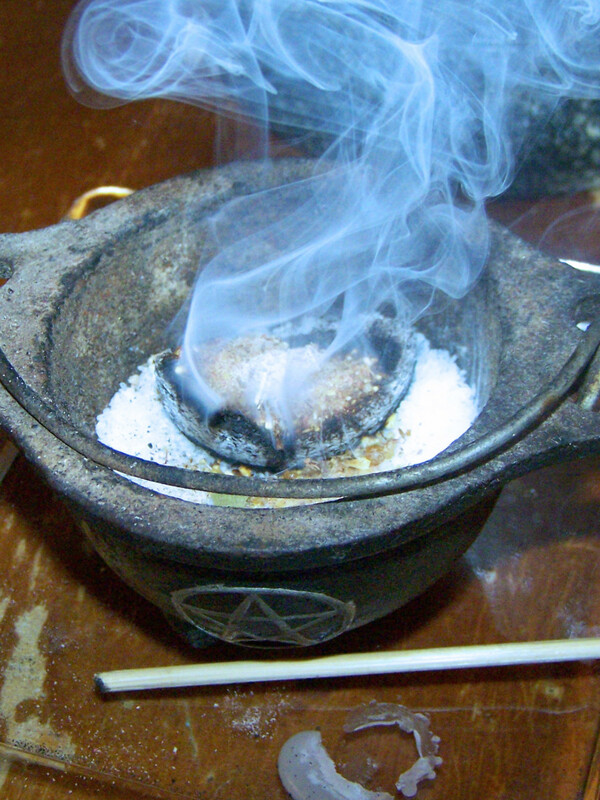 If you're experimenting and want to know what your incense will smell like, light some coal and give it a sprinkle. Tweak the recipe as needed. For how to burn incense on coals, see below. 8. Bottle it, or bag it. Put it in some kind of container, the more airtight the better if you expect it to last long. Label it! And if you made it up, don't forget to write down the recipe so you can repeat it! 1. Get a good censer! Seriously, these coals get HOT! You do not want skimp here and get a flimsy censer, and don't try to use an ashtray. Make sure it has something you can grab -- a handle or chains to that don't get hot! It's also a good idea to put it on some kind of trivet. 2. Get self-igniting incense charcoal. Don't use barbecue charcoal, you'll give everyone in the house carbon monoxide poisoning. 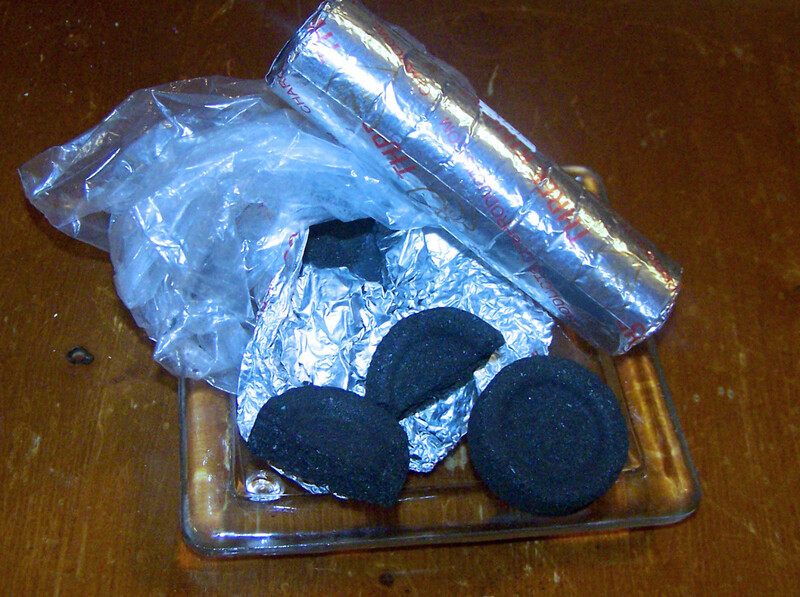 Self-igniting incense charcoal comes wrapped in foil in little, round tabs. They last about an hour per tab, probably a little longer. If you don't need them to burn that long cut them in half, or quarters, like I do. It's important to keep them wrapped. I live in a humid climate so I put them in foil, and double-plastic baggie them, then rubber band it closed. Charcoal naturally draws the moisture out of the atmosphere, but it doesn't light very well once it does that. 3. Light your incense on a flame. I prefer to use a candle because it can take a few seconds and lighters get so hot. Wait for it to start sparking like a 4th of July sparkler. 4. Put your coal in your censer. I like to add a bed of salt to help absorb heat. 5. Wait for it to stop sparking. I like to give it 5 minutes until it looks like a lump of glowing ash. 6. Sprinkle on your incense. Use a spoon to add about 1/4 or 1/2 tsp. If you put it into an old herb container with a sprinkle top just shake some over the coals. Of course, you could always just grab a pinch and sprinkle with your fingers, too, just don't touch the coal. 7. Add a little at a time. It smokes a lot so a little at a time helps you learn how to control the amount. Every 10 minutes or so, when the smoke dies down, replenish it with another sprinkle. I like to keep a piece of a skewer with my censer to 'stoke' the coal every now and then, brushing off the burnt ash and resins to reveal the glowing coal underneath. 8. Handle with extreme care! This stuff is like way hotter even than an open flame. The sides of your censer will get very very hot. You do not want to touch the coal or drop it on you, and if you drop it on the floor or table know that it will burn right through a rug or leave a mark on a hard surface practically instantly. If you do ever drop a burning coal, don't pick it up-- throw water on it! Burying it with sand, baking soda or salt will help smother it out as well. I like to just leave it on a safe surface to burn out and cool down on its own, unless I'm going out. Never leave your coals burning unattended! 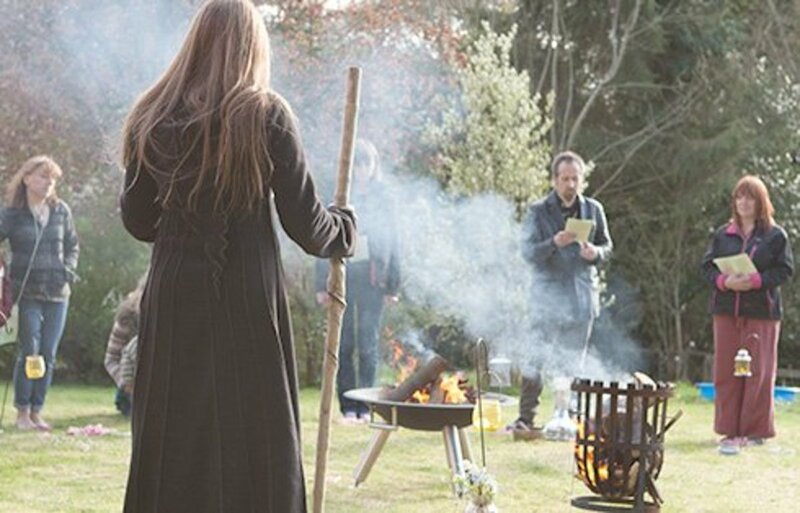 Looking for more lessons on Wicca for beginners? Now that I've gotten safety issues out of the way-- go forth and make incense! If you like incense but have never used it raw before, you're going to love it! Loved this, I saw that cinnamon was commonly used for incense, are there any other household kitchen spices/herbs that I could use? Thank you! Hi Sage! I noticed you had an incense labeled as “circle incense”. Would you mind if I asked what are the ingredients? Would be great to know as I am barely learning about all this—so much to know!! Thanks! Thanks! I was seriously looking for just this!!! Thanks so much! I have not tried that, I'm going to look into it. Hi Billy, thank you! Ah, the 60s. I was too young to properly enjoy that decade. Thanks for stopping by, glad you enjoyed the article. Thanks ScarletPlague; It's a great way to make the most of incense for those who like to burn it. Thanks for your comment. Great hub. voted up and pinning (if you don't mind). I have most of this stuff in my house already. I've been obsessed with Nitiraj incense lately (if you have never tried it, do so! It's so lovely! ), but will use this as a reference in the future! Now that's helpful! 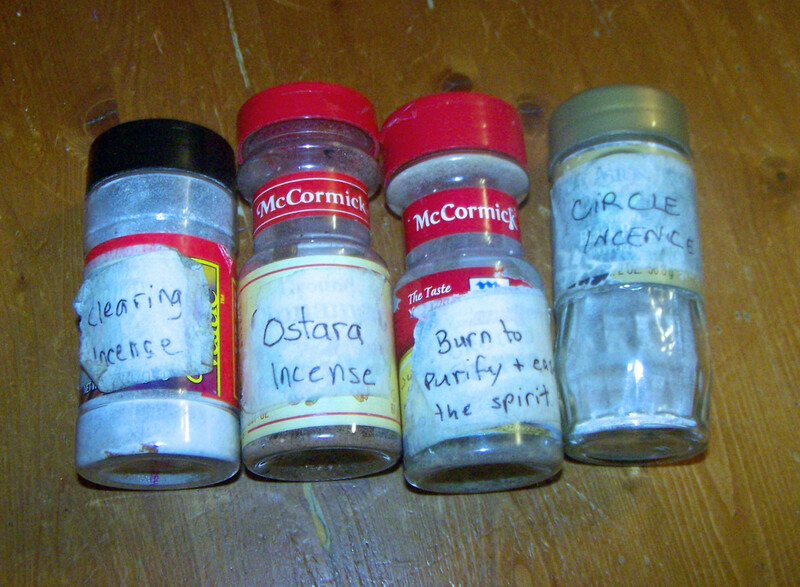 We made our own incense back in the 60's, so I'm aware of this...but a very helpful article. Great article and awesome how-to! I'll have to try this.